After a very successful first event, we will be running our second open platform night on WEDNESDAY 16th May at 7pm in The Paxton Centre to promote some of the great groups based in Crystal Palace Park. This facilitated evening will give you a change to learn more about the amazing activities going on in the park in an informal setting. 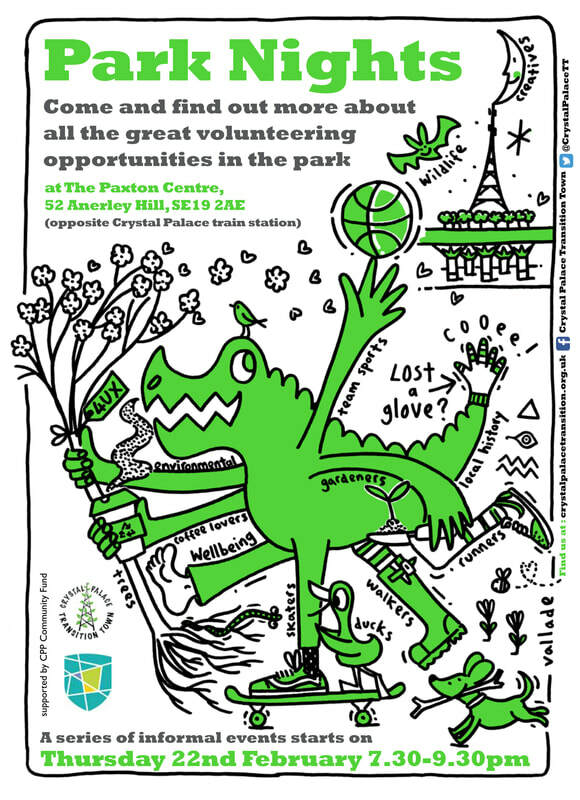 Friends of Crystal Palace Park and several other groups will be present. Supported by Crystal Palace Park Community Projects Fund from Bromley Council. Email joeduggan@215@hotmail.com for more info, click on the facebook event HERE or just see you there !